Welcome to the Family Moulaye Sissoko! 2019 6'10" Big Man out of Georgia originally from Mali! Last edited by lhsgolf19; 10-08-2018 at 09:26 PM..
6'10 definitely works. I will even overlook Dayton University. other 4 departures are paying off with AG filling spots with his guys. Rebounder. TOUGHNESS. Energy. Make yourself at home. Any additional info on this guy? He appears to not be a skinny project. I suspect his offense is behind his rebounding and defense? Wow, this fellow is built like a brick s*** house! Awesome. Byah to small ball. Nate Green + 4 inches? Big dude. Work to be had. 2 stories tall at that! Okay - now I commend the staff. Can he shoot anything but dunks? Can he shoot FTs? He can learn...you can learn shooting but you can't learn height and raw athleticism. I want to work out with him ASAP! I wonder if any relation to Moussa Sissoko, who plays midfield for the French National team and Tottenham in the Premier League? Mali was under French rule up until 1960. French remains the official language. It's a great addition to the University! 2 pretty decent looking free throws at 0:08. Form a little bit over his head but he looks confident. Overall seems to run the floor extremely well and has some great hands. His younger brother, Harouna, seems to be just as athletic and has a pretty decent shot from outside, too! With his rebounding and defense at such an elite level, we don't have to concern ourselves with his offense. If it develops, fine, if not, he's still going to be amazing. Florida offered. This is a next level recruit, the kind we have struggled to get in the past. I just have to thank you for finding that.. he may or may not be related, but that is good fact finding. 26 posts and nobody has mention that he already "has an NBA body". Don't worry, you'll have 4 years to get bulked up like him. I'm sure he'll make time in the summers to teach you a few things. Should have cut off the video quicker, after the last block he threw the ball away directly to the other team. Since it was right under the rim I'm betting he didn't get his 5th block on the ensuing play. Last edited by Gazoo; 10-09-2018 at 04:52 PM..
How in the world can you watch any of those videos and come to any certainty just how tall the kid is? [QUOTE=rollo;559399]26 posts and nobody has mention that he already "has an NBA body". Nobody has mentioned that he is a one and done yet either. Lippman’s familiarity with head coach Anthony Grant, who Lippman said he has known his whole life, as well as Jones and assistant coach Darren Hertz helped Sissoko feel comfortable. “It was a great fit for him between Anthony’s ability and track record of developing bigs,” Lippman said. Too bad AG can't recruit big men. So far, Anthony seems to have better success than Archie in recruiting height. Archie’s only successful big man recruit was Big Steve. Sam Miller never showed the promise that he had before. And of course two, kicked off the team. He now has three tall front line recruits, even though one is a transfer. Now, let’s hope that Atnthony can leverage that height. Now, let’s hope that Anthony can leverage that height. I'd take it one step further. I think Grant has upgraded the talent level across the board. Once the trio of transfers become eligible, along with Obi, Cohill and Sissoko, you have to like the possibilities for this team. There's more size and skill available than any team fielded by Archie. Weren’t you a Boy Scout. First you look at a object that you know the height of. Hold a pencil in you hand and sight on that object. This is your measuring stick that you compare to the object you want to know the height of. Look at the top of his head compared to the bottom of the backboard. His school is close to my son’s house and I found out they don’t have a gym. I liked Archie's results. He landed some good recruits, included Jordan (transfer), Vee (transfer), Dyshawn (who I think was his most underrated recruit), Scoochie, Kendall, Kyle and more. Charles Cooke while not overly popular is splitting time I hope in the NBA this year. Everyone loved the intangibles of Kyle! Archie's last recruiting class turned out to be very weak, but he did find players who seemed to have more basketball skills and perhaps IQ than BG. Archie did seem to get the maximum out of his players. Let's keep upgrading the talent, yet keep the winning culture. I love this pickup and I am a big fan of what Coach Grant has been able to do for our roster in a year and a half. Next year, we will have a bunch of size and skill, for sure. 6’11” Jordy, 6’10” Sissoko, 6’9” Obi... it’s looking very good for the 2019-20 season. But don’t discount how good the 2013-14 Elite Eight squad was. We had a lot of size and skill on that team too. Scott & Robinson were 6’9” and skilled, I think Kavanaugh was 6’9” as well and Alex G didn’t play much but was also in that range. Devin Oliver was 6’7” I think, Pierre 6’5”ish, Vee Sanford and Jordan Sibert were really good, Khari Price was solid, and we had three freshmen on that team who ended up being the winningest class ever at Dayton. So I’m excited about the talent level on next year’s team, but that squad had 6 fringe NBA guys on it, and Scott, Robinson, and Vee are all still playing professionally. Anyway, we will see with our current roster, and I’m extremely optimistic about the future for our program, but man, don’t forget how good that 13-14 team really was. Ok, it's time to replace "he can't recruit" with "he can't coach." People need something to complain about to justify their predertmined beliefs. Heaven forbid they change their minds when the facts change. I was underwhelmed by AG's hire, but continue to be impressed one step at a time. He can't impress me with his 10 year record in year 1. But I like the progress. Wait a second. I don't think I said he can't coach. Last year was no indication of coaching ability. It might have been a testimonial to trying to get players to play his way and some did not buy in. I think it was impossible to say in Anthony coached well or poorly last year. When players don't buy in, coaches can't do much until they clean house. My comment attributes Archie's ability to get a lot out of his talent. his teams outplayed some teams that were rated higher on paper, such as Ohio State, Syracuse, Gonzaga etc.. I hope Anthony can perform in a similar manner. if he can, then UD should be at the top of the A10 every year and make it to the NCAA tournament easier. He got rid of Miller, Crosby, Williams, Pierce, Svoboda, Antetokunmpo, kept the roots in Cunningham, Landers, Crutcher, Davis, and now adds back Mikesell, Matos, Cohill, Policelli, and Toppin. Big improvement over last year. And it appears that everybody is on the same page - AG's page. Then add Watson, Chatman, Tshimanga, and Sissoko to replace only Cunningham next year. Major turnaround. I'm hungry about this year, being underrated, and I'm absolutely salivating over next year. AG's main problem will be finding playing time for everyone and getting the right mix in the game at the right time. Good problem to have. Can't wait for the season to begin. These could be some magic years ahead. I'm looking for UD to surprise some people this year and absolutely rock the house next year - GO FLYERS!! Wait a second. I don't think I said he can't coach. I was referring to the general sentiment of a select few highly negative posters, not you specifically. Actually I wasn't thinking of you at all with my comments. Terrible. AG should be recruiting players who will stick around for at least 3 years, if not 4. What a waste. Speaking of Wright State, what about an All-Ohio Tourney? Size is not going to be an issue on this team and seemingly into the short term future. We know what some players have going for them ... related to talent ... size is an observable and always a known factor. Talent takes a while to assess and not all of the talent skills are visible. Some talent skills are subtle and hard to see. A flick of the eye or slight hesitation in movement that does not distract from dribbling the ball, making a pass, etc, yet throws a defender off. As the 2018-2019 team begins play, we shall see how player development takes shape from beginning to end. The Flyer version of Mo Ally Cox? BIG presence nonetheless. I like his potential....A LOT. Look at the neck on that kid at 6'10". That probably didn't come purely from genetics. I think he did a little work in the weight room in his young life to get that kind of overall muscle. Kid might be a real worker. And I would not be at all surprised if he's more than adequate above the neck as well. Often parents of foreign students require their kids to work in the classroom too. Foreign parents often don't take for granted the opportunities available to their children like many of us Americans do. The average UDPrider knows the ups and downs of the center position ... after Big Steve then Greek Freek 2 (GF2) ... we really should know what to expect out of the position when the player is a freshman. So I have low expectations of Moulaye for his first year. I just hope he has the desire to improve and buys into AGs team. He seems to have the body type to have success. I was not surprised of Big Steve's slow progress but he was an awesome ball blocker. He had the body and desire to improve. I was totally amazed how the athletic GF2's talents didn't translate to points yet he left us to go Pro. He didn't have the body and from my view he seemed sometimes engaged to improve. As much as I've been impressed with UD's ability to play big with smaller players, I love me some lane chewing, shot blocking, back to the basket centers that AG has been bringing in. Between Jordy, Moulaye, and Obi, the Flyers will have some serious lane presence in 2019-2020. I would pay big bucks to watch these big men go after each other in practice next year. Poor Bucky. This might send him into retiring from announcing. That good gig just got a lot tougher. You put it on the tee, we hit 'em. Great pickup for us. Glad to see a big body for the middle. We have truly been waiting for this. I hope that AG is using his NBA experience seeing how a big, athletic wide body in the middle can help a team. Go heavy to the basket, score and draw fouls or go to the basket, draw defenders in and pass out to open teammates for easy twos and threes. Hope the "NBA type body" doesn't mean that he will be around for only two years and scoot to pros. Would like to see him stay around for a while like Moe Ally Cox. But if he becomes that good, I will enjoy the two or how many years. Go Flyers. Almost college basketball season and starting to see articles about local, St. Johns, Rutgers, Seton Hall etc. Shouldn't we be talking NFL ready body? You mean Mo Alie Cox the former hack b-baller from VCU now the TE for the Colts on their practice squad. He did catch a pass and was on special teams for them last week. Watching some video of him, he seems like a very similar player to Jordy Tshimanga. Both look like space-eating powerful big men cut out of the same mold. I think, after this year, we will be very thankful to have that big man depth and power. It may not make that big of a difference in most games, but when you get to playing top 40 tournament caliber teams, it does, IMO. He was called up this afternoon. Besides 6'10" junior Moulaye Sissoko, Lincoln Academy has the top three sophomore big men in the state of Georgia who measure 6'11", 6'10" and 6'8". All three are top 35 in the country in the class of 2021! Wow, if Sissoko is successful we could get a pipeline! Our recruiting took an incredible turn for the better since mid summer when all we seem to read about was point guards. Admittedly that was a good start, but most posters were keyed on "where's the beef". My hope was that we were quietly chasing some post players that were being played close to the vest. Since Jordy and Moulaye could lead to the inside push for even more bigs, I almost have to pinch myself to see if I might be dreaming. We definitely need to have a good (if not great) season to give our recruiters the ammunition to continue the chase. Definitely a correlation there. A great part of the recruiting puzzle that takes a village to solve. Is that anything like the Triple Salchow? I know it's off topic but Mo Ally Cox caught a pass this afternoon for Colts against Jets. Did not see him after that. My apologies but did not know where else to put it. Just a brief diversion. Rico Gathers also caught a 14 yard pass yesterday for the Dallas Cowboys. Gathers is a former power forward from Baylor weighing in at 6'6" and 282 lbs. Agile and great hands. Now back to Moulaye !! Wild thought that may have no basis in reality: I think it's no secret that there is a coming divide in college basketball, pushing a larger chasm between the top and bottom programs. The strong are getting stronger and the weak are getting weaker. Is there any chance that UD is seeing stronger recruiting just because the marginal player who may have chosen a MAC scholarship or MW scholarship to start for 4 years is now thinking, "yeah I might get to play there 4 years, but 4 years from now the landscape might be so different that I might not even be playing the equivalent of D1 basketball"? Or is it too early for that to be playing out? All I have heard for the past 30 years or so is that the chasm is getting wider between the big football schools and the others. All it seems to be for the last 30 years is it has not happened. Note Loyola, Butler and Villanova. Is there any chance that Moulaye Sissoko is related to Mady Sissoko, a 6'9" 230 player from Utah? Lindy's rates him as the 19th best Junior in the country. Even if they aren't related, Mady is also from Mali. This kid is amazing. Would be interested to see if there is already a connection. No doubt, it looks like Grant is filling in the blanks. And you are so right, the 13-14 squad was loaded. They had talent at every position and 2-3 deep. It will be interesting to see where guys like Landers and Mikesell fit in in 19-20 season. The future roster seems to be getting rather competitive and deep with both size and skilled talent. Lander will start or get starter minutes no matter who AG recruits. When healthy, Mikesell showed impressive offensive skills and IQ worthy of major minutes. We'll see how he comes back from injury. Landers and Mikesell will be seniors next year, and I find it hard to believe they will be displaced, or their roles significantly reduced, by an incoming freshman. Won't Mikesell still have another year of eligibility? Assuming he gets the extra year because of missing a year for medical reasons. Mikesell has this year and next year and that's it. But the big conferences haven't gone to 20 game conference schedules yet. Pretty soon, when there's no open dates for anything except woodshed games, pre-conference tournaments, and traditional rivalries, don't you think it's going to look a lot different? It's interesting that you pick Butler and Villanova. . who joined a major basketball conference. Huh. So we are all admitting that the BE is a major conference, and we need to be in it. I am! My point is that the big football conferences have not pushed everyone else out, and the BE is exhibit A. If they did it, so can some other schools. In fact the A10 could do it if they had great leadership, and gave schools an ultimatum of compete at that level or leave. I thought this thread was about a player we signed. 2019 four-star and Dayton commit Moulaye Sissoko will be transferring to Huntington Prep, sources told Stockrisers. Was formerly with Lincoln Academy. When is the signing period start ? Hopefully, the transfer decision was made because of the comment earlier in this thread about the 3 Sophomore bigs that Lincoln has this year, and the perceived desire of the coaching staff at Lincoln to showcase guys who are still being recruited. I mean, think about it. Coaches gain a measure of notoriety by putting their players in better programs. Once one of their guys has committed to a college, the coach wants to promote the next man up, and the coach might do that (in part) by deemphasizing the guy who’s already picked-up a scholarship. And, if said player can see that handwriting on the wall, he’d be tempted to say, “Eff it! I want to play!” and transfer to another program where he can play, preferably at a high level. Granted, this may not be the scenario, and I’m sure there’s plenty of stuff going on in the background that I don’t know anything about. But this is one possibility. Do not like a person always looking for slightly greener pastures. I hope we can get that signed letter. NOTES: Wednesday was National Signing Day. 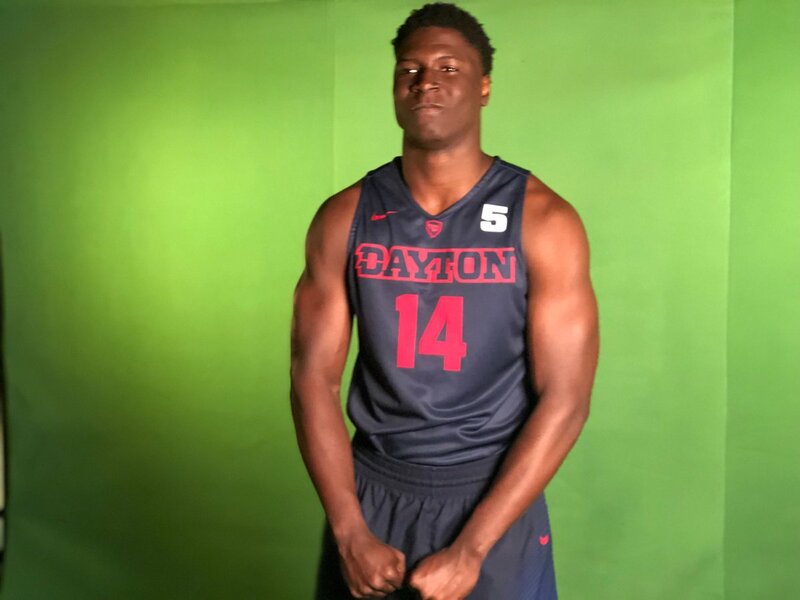 Dayton expects its lone 2019 commit, Moulaye Sissoko, to sign on Thursday. Sissoko committed in October.